A comfortable fit for left-handed shooters. Attention all lefties! Here's your next Rifle. This tack-driving .22LR delivers match-grade accuracy that makes it the ideal firearm for everything from hunting to "pest control" to spending a day shredding targets. It's specifically made for left-handed shooters, and the user-adjustable AccuTriggerTM makes it feel like it was custom built just for you, without a trip to the gunsmith. Since its beginnings in 1894, Savage has been making top-quality, innovative firearms, and you can see this commitment to quality each time you shoulder your Rifle. Get yourself a Savage Rifle and experience the difference. 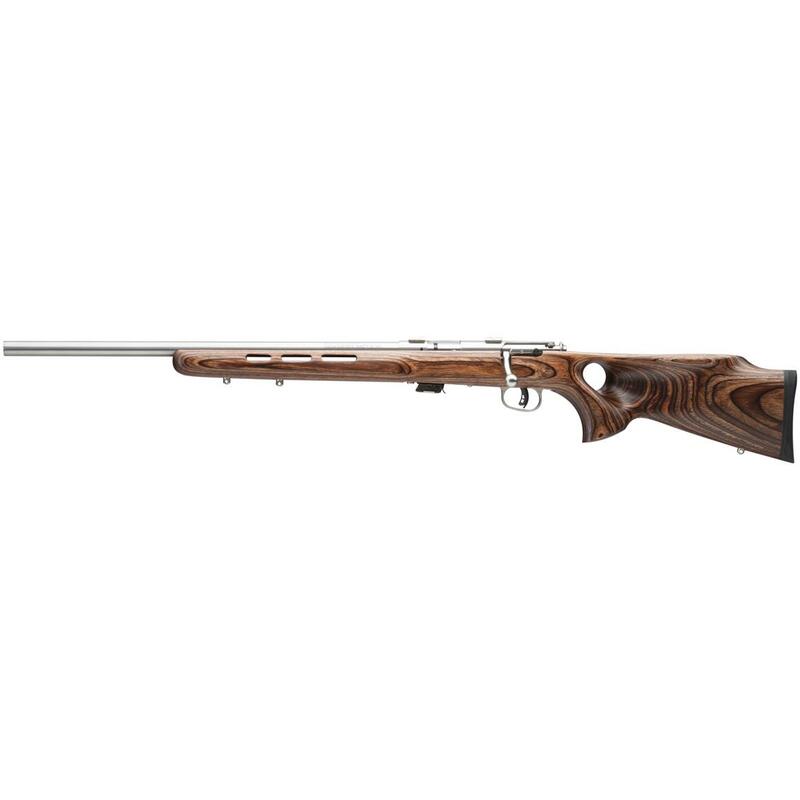 Savage Mark II BTVLSS, Bolt Action, .22LR, Rimfire, 21 Barrel, 5+1 Rounds, Left-Handed is rated 5.0 out of 5 by 2. Rated 5 out of 5 by Big Johm from It is a good shooting rifle,I still have to get used to the lefthanded bolt. Rated 5 out of 5 by Brad from Great Gun I am a Savage fan and this gun reinforces my love for Savage. I put a 4-12 X 42 Nikon scope on it and got it dead-on within 6 shots. The AccuTrigger system gives me the steadiest trigger pull I have ever experienced and keep groupings tight. This is the third Savage I own and will continue to look to Savage for my next rifle. CZ-USA Youth 455 Scout, Bolt Action, .22LR, 16.5"
Marlin Model 60SB, Semi-Automatic, .22LR, Rimfire, 19"
Marlin Model 60SS, Semi-Automatic, .22LR, Rimfire, 19"
Savage 93 BTVS, Bolt Action, .22 WMR, 21"
A CZ .22 for the learning shooter. The hugely popular .22 gets a modern makeover. One of the best values in shooting, plain and simple.